There are many things that get our dogs feeling anxious or unnerved. Some may seem irrational to us, and some are completely understandable. We take a look at the three of the most common fears in dogs. 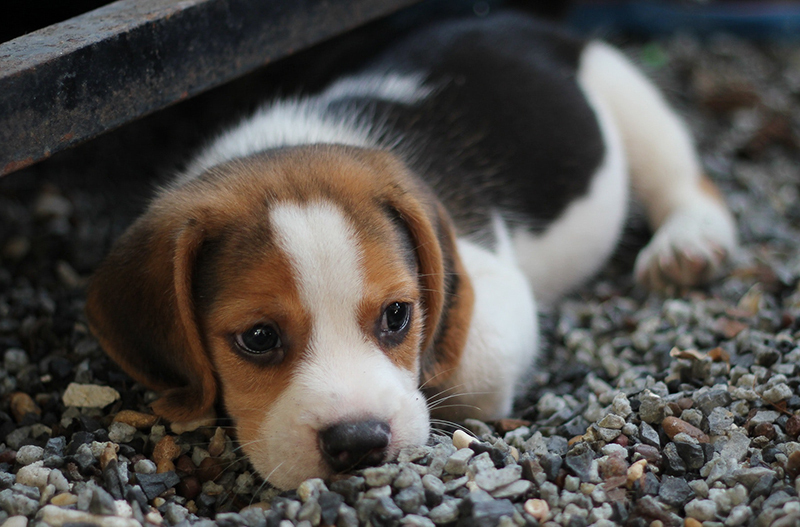 A very common fear in dogs is the fear of being left home alone. This may be so strong in some dogs that it leads to separation anxiety. If your dog is overly destructive when you are away from home, it may be more than just a behavioural issue. Signs of separation anxiety include excessive barking, breaking things around the house and other destructive behaviours. Small changes such as finding ways to keep your dog entertained whilst you are away, and creating a safe space can decrease separation anxiety. This is explored more in our blog based on Separation Anxiety. Astraphobia (the fear of thunder) is very common in Dogs. Unlike us humans, dogs are not able to rationalise what the thunder sound is, which can cause unease. This is very similar to why dogs become uneasy around fireworks. The fear for thunder varies in dogs, and can be very severe or mild. It is also thought that dogs can sense when a thunderstorm is coming, which may explain irrational behaviours before the thunder starts. Some dogs love nothing more than a trip out in the car. But to many, it can be a very distressing experience. This is usually caused by a past experience or a lack of early exposure to car rides. Dogs may remember the time they were left at a shelter or taking to the vets in a car. This unease of where they will end up causes great fear. Taking trips often to places your dog enjoys such as the park can help to reduce this fear massively, as they then begin to expect a positive outcome at the end of the ride. What does your dog have a fear of?